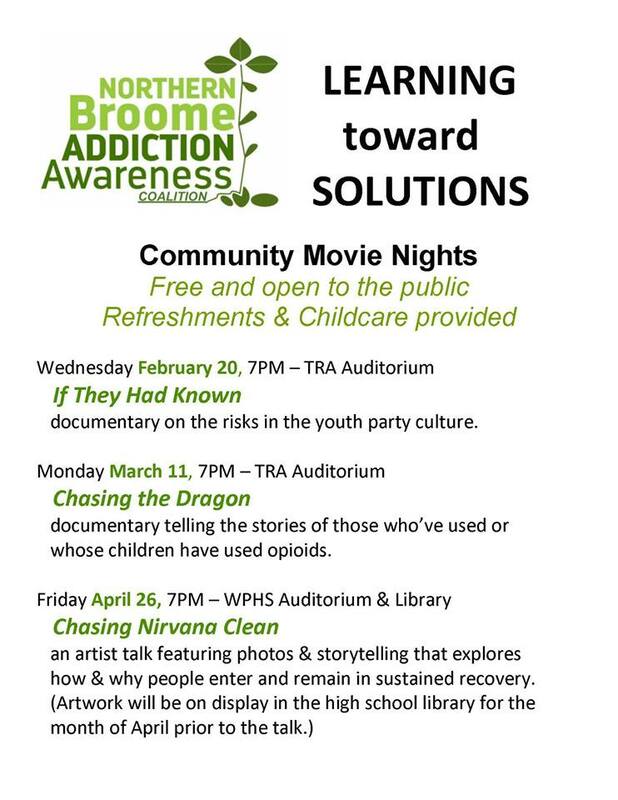 The Northern Broome Addiction Awareness Coalition will present “Learning toward Solutions” — a series of community movie nights featuring documentaries and storytelling about addiction and recovery. These events will be held in the Whitney Point CSD and are free and open to the public. Refreshments and childcare will be provided.